With life expectancy almost double what it was a hundred years ago, we are at a point in history when people eighty-five years and over make up the largest growing demographic in the United States. Some will remain vital and active into their nineties, while others will struggle with chronic illness and dementia. With this increase in longevity comes a growing need for care. To whom will this responsibility fall? 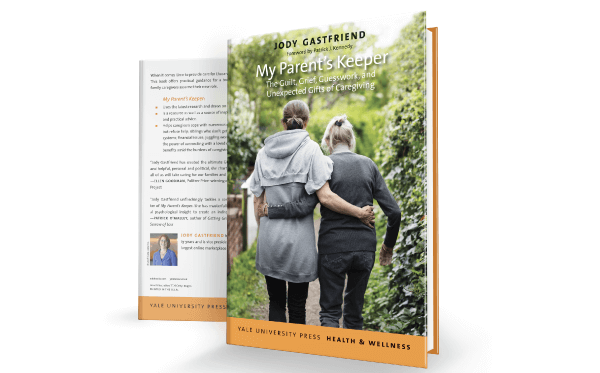 My Parent’s Keeper provides fresh, provocative and ultimately optimistic insights into the experience of caregiving. Using the latest research and drawing on case histories and poignant interviews, the book is a resource as well as an inspiration for family caregivers. The book combines powerful and relatable stories illustrating a broad range of caregiving challenges: parents who need but refuse help, siblings who don’t get along, juggling work and caregiving, and caring for a parent who didn’t care for you. It untangles the maze of healthcare and paying for long-term care. It reveals the power of connecting with a loved one who has dementia, realizing the benefits amid the burdens of caregiving. For many, the transformational life passage of caring for an aging parent, along with the pain, can bring simple pleasures and a deeper appreciation of one’s own aging.